I celebrated my birthday last weekend so I invited my family over for cake and cava. I made my favourite cake of the moment, carrot cake, as well as this deliciously light and sticky cake from Rachel Allen’s Bake. I already made this cake a few times before, so I knew it was going to be a big hit, as always. It’s very moist, so you can easily keep it in the fridge for a few days and eat a bit of it every day! Here’s how to make it: first, preheat the oven to 170 C. Line the base and sides of a 20 cm round spring-form with greaseproof paper (the recipe suggests a 22 cm size, but I don’t have one so I use 20 cm instead). If you only line the bottom with greaseproof paper or if you’re not the greaseproof-paper-lining-person, just grease the tin with vegetable oil. Sift 225 g self-raising flour in a large bowl together with 1 tsp baking powder and a pinch of salt. Add 75 g ground almonds and 100 g caster sugar and mix. In a separate bowl, mix 2 eggs with 50 g runny honey (or 1 generous tbsp), 250 ml natural yoghurt (unsweetened), 150 ml sunflower oil and the finely grated zest of 1 lime (you’ll need the juice for the syrup later). Make a well in the centre of the dry ingredients and slowly pour in the wet ingredients, bringing them together with a whisk until they are just combined (if you want, you can add 50 g chopped unsalted pistachios at this point). Pour the mixture into your tin and bake in the oven for 50 min or until a skewer inserted in the middle comes out clean. Allow to cool in the tin for 20 min and while the cake is cooling, make the lime syrup: in a small saucepan, boil 150 ml water with 100 g caster sugar for about 5 min until it is reduced by half. Add the juice of 1 lime and boil for a further 2 min, then cool and add 2 tbsp rose water. 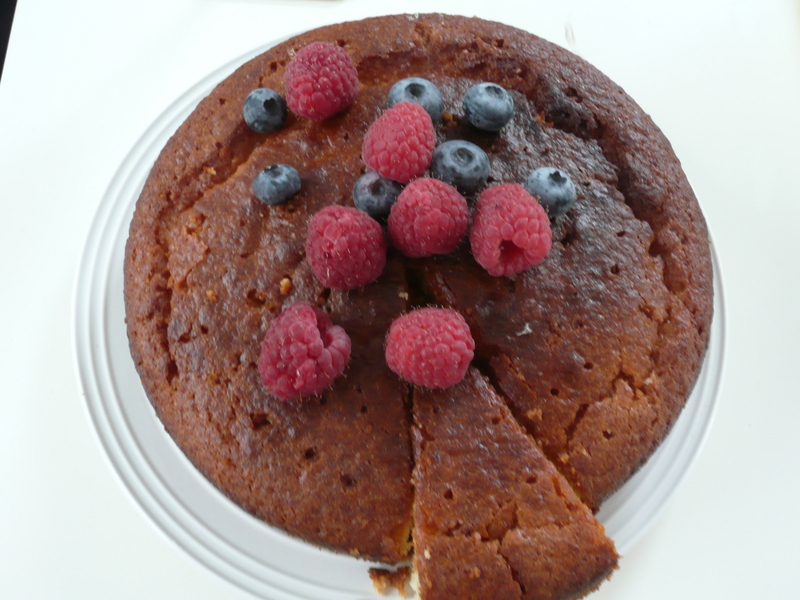 Make holes on top of the warm cake with a skewer and, with a tablespoon, spoon the syrup all over the top. Leave to settle for 1 hour. 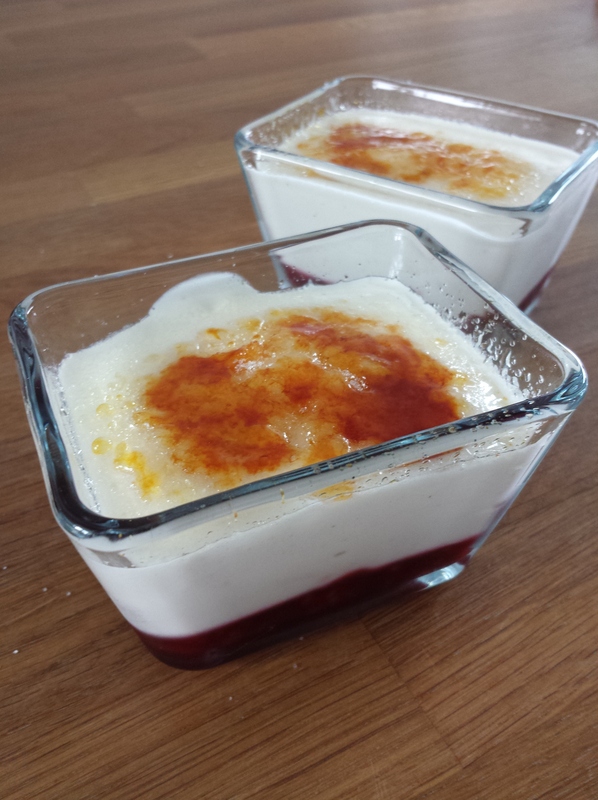 For a bit of a wow factor, serve with berries, sliced mangos, cream or natural yoghurt. Enjoy while listening to Kokomo by the Beach Boys. Use up your leftover berries in a summer berry cake or in pancakes and use up leftover yoghurt in a light lemon drizzle cake or in a lime-mango cake.